Diana Shaw is a Licensed Mental Health Professional (LMHP). She is a graduate of Hendrix College in Conway, AR where she received a B.A. in Psychology; and of Murray State University in Murray, KY, where she received an Ed.S. in Community Counseling. Diana has extensive experience with young children, ages 0-5. Additionally, she is experienced in working with older children, teens, and adults. Dianaâ€™s clinical practice focuses on, but is not limited to, attachment issues, ADHD, anxiety, depression, postpartum depression, trauma, and life changes. 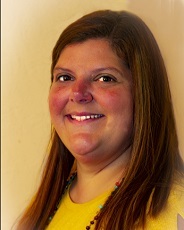 Diana is also a Registered Play Therapist (RPT) and is trained in Circle of Security-Parenting. She has additional training in early childhood mental health, trauma, and behavior interventions.